Builder stone is for any application where brick can be used. Stone is one of the oldest building materials used that is still in use today. Look at the Alamo! 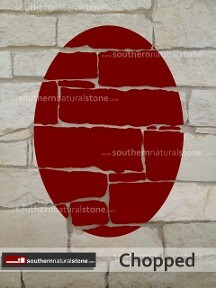 Thicker stone offers strength and durability. 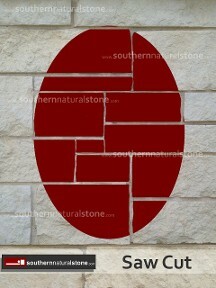 Builder stone comes in 3 different styles: Saw Cut, Chopped, and Flagstone. Choose below which one fits your style. If you aren't sure just fill out our stone request form, and a stone specialist will contact you within 24 hours. Building stone is also referred to as full veneer, full dimension stone, or full weight stone. Each piece is from 3"-5" thick. 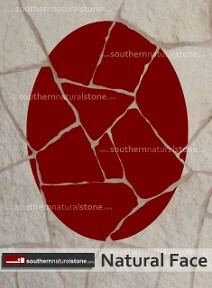 This thickness is due in part to the stone installation method as seen in this picture.